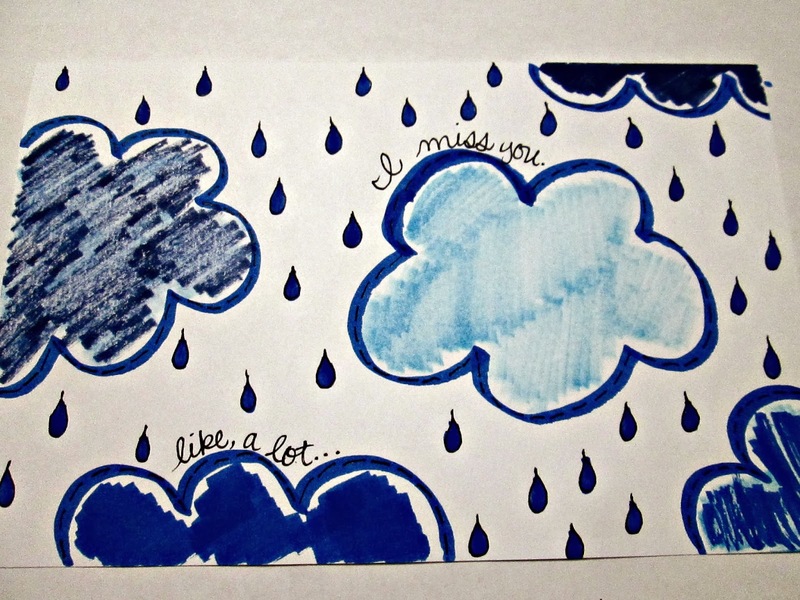 Let someone know how much you miss them with this adorable handmade card! Learn how to make it yourself! 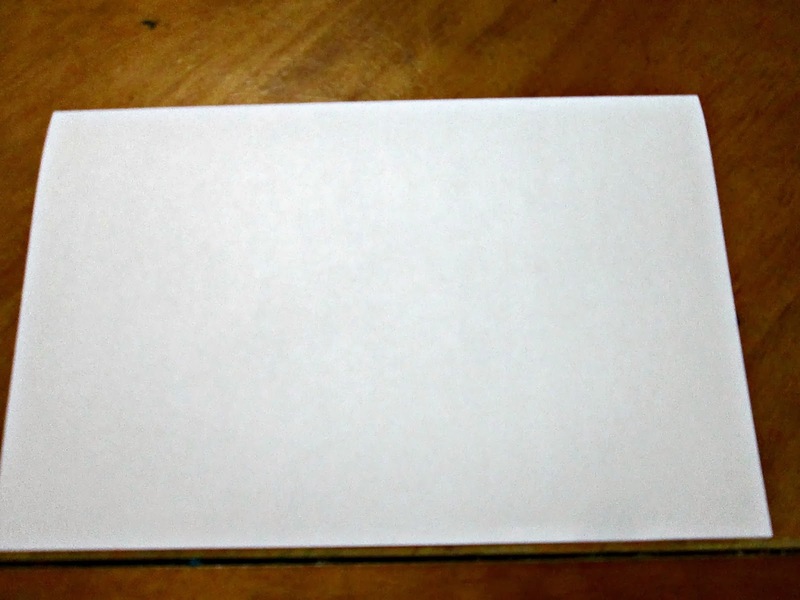 Step 1: Start with a plain white piece of paper and fold it in half. 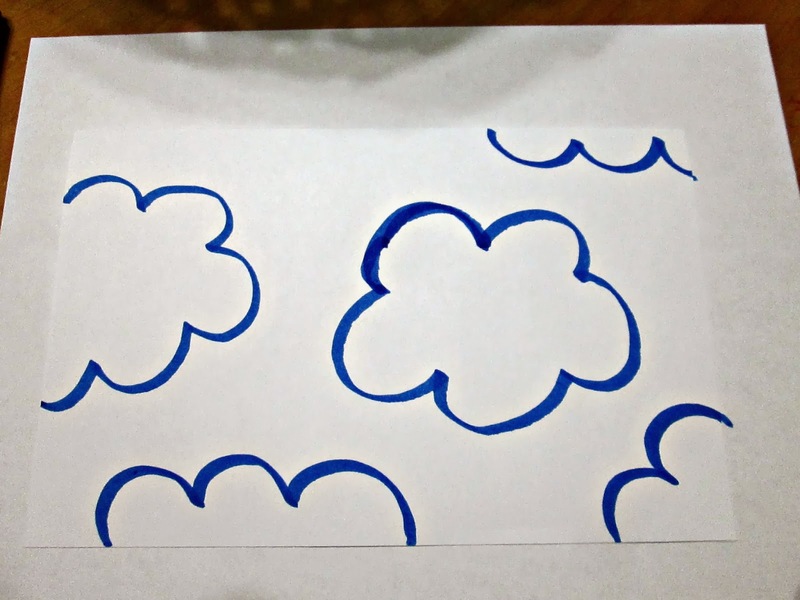 Step 2: With a blue marker, draw clouds all over your card. 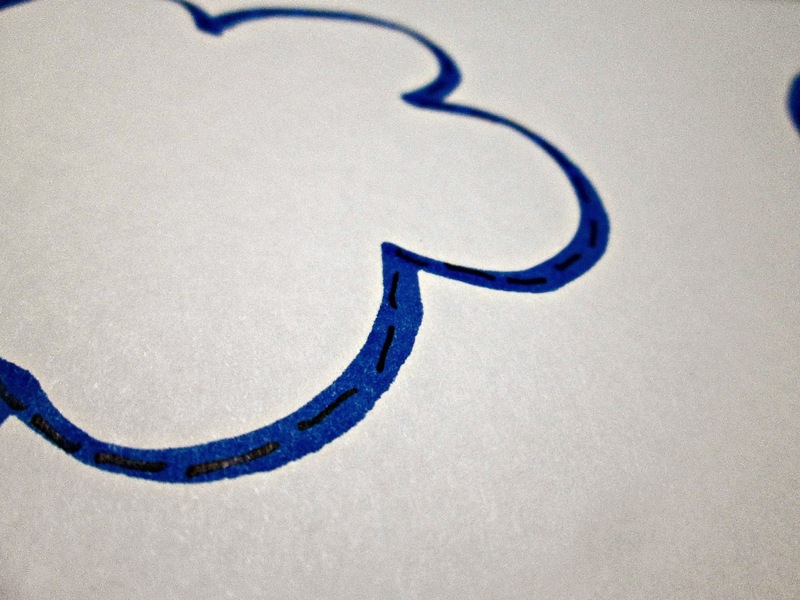 Step 3: Create "stitches" with your black Sharpie Thin marker over the outline of the clouds. 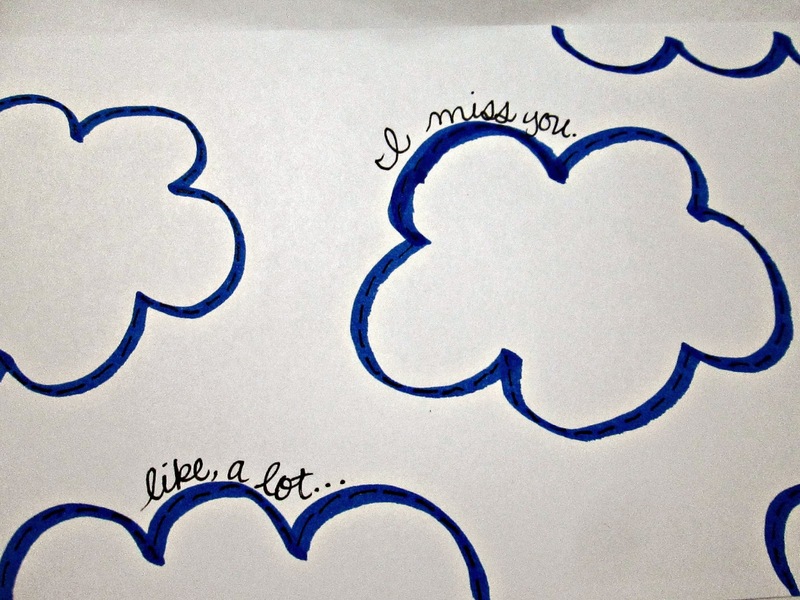 Step 4: Write a little message along the top of two clouds. 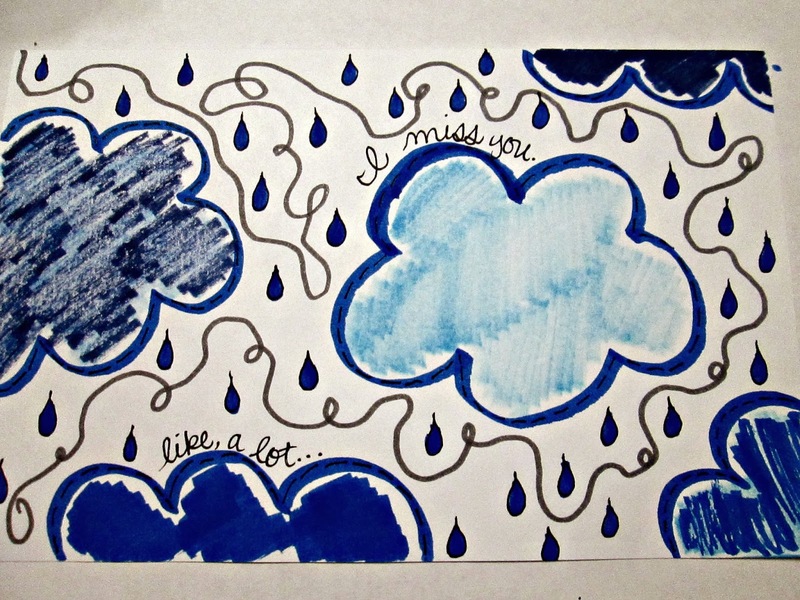 Step 5: Color in your clouds (except the edges) with different shades of blue markers. 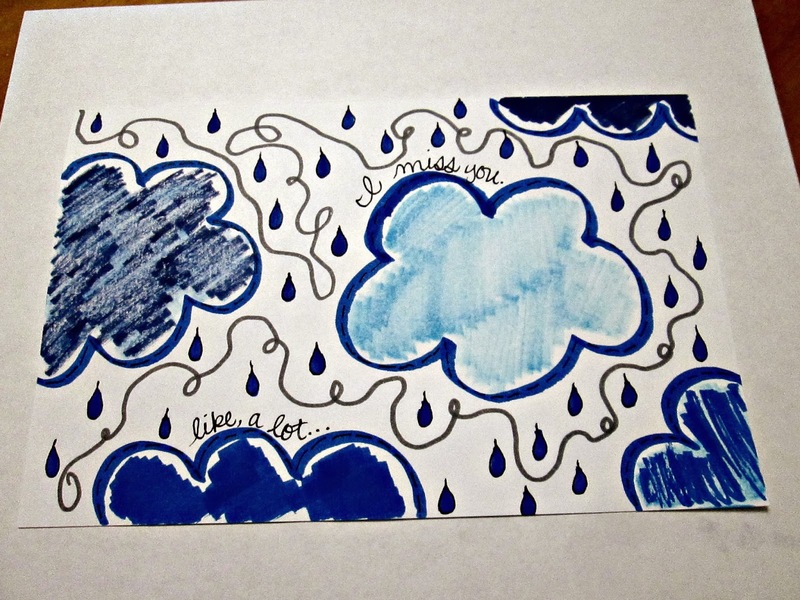 Step 6: Draw raindrops between the clouds and color them with a blue marker. You're done! 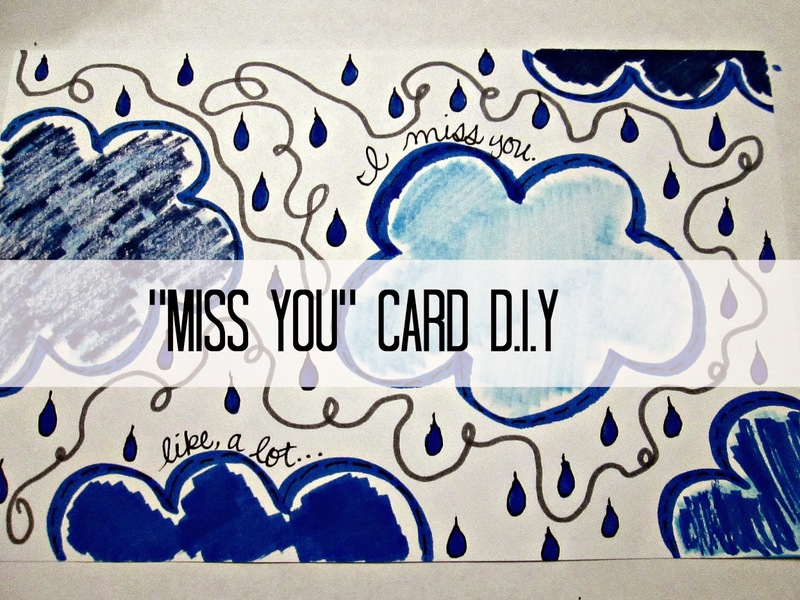 You just created a cute but simple handmade "Miss You" card. 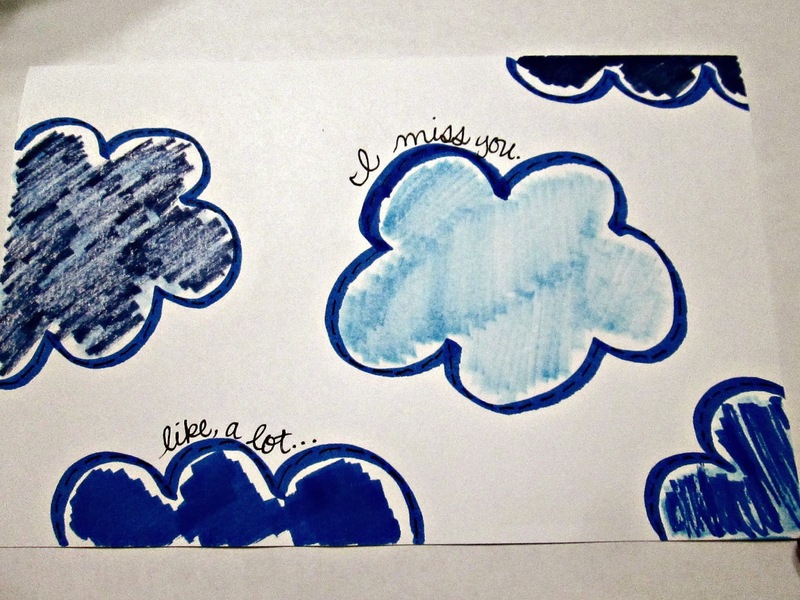 You can write something on the inside, or just leave it blank so that you can write them a message. OR, you could do both! You are amazing!!!! I would love to have a forth of your artistic talent. Beautiful card!!! Thank you, Susan! You're always so sweet!! I like the cute "stitches" in this one! Very cute.